My little man does not like to chew meat or poultry. 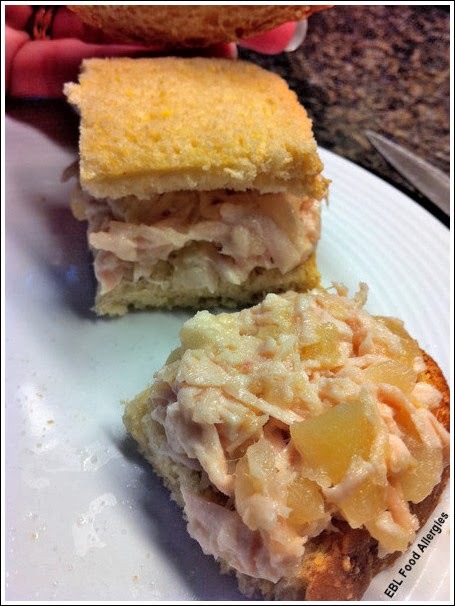 He also has a pretty long list of foods that he avoids so getting enough protein in him can sometimes be difficult, which is how I came up with fruit cup chicken salad. It’s so easy, allergy-free (for us), and much healthier than the grocery store version. All I do is take a small portion of leftover chicken or turkey from the night before and blend it with one drained fruit cup (in juice, not syrup) and salt and pepper to taste. 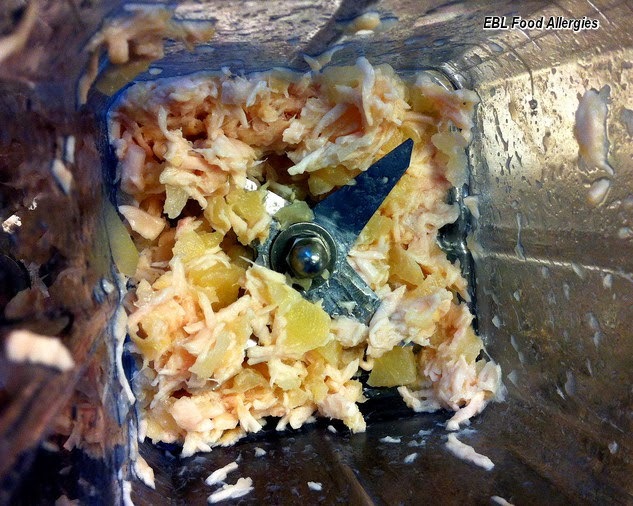 Then I scoop it out onto safe bread, tortilla chips, wraps, or tortillas to make a chicken salad sandwich. In the past I have added chopped grapes, apple, raisin, sunflower seeds, oil (to increase fat intake), avocado, mustard, or ketchup. There are so many different variations of this chicken salad. Start out simple, with ingredients you know your child will eat and work from there. 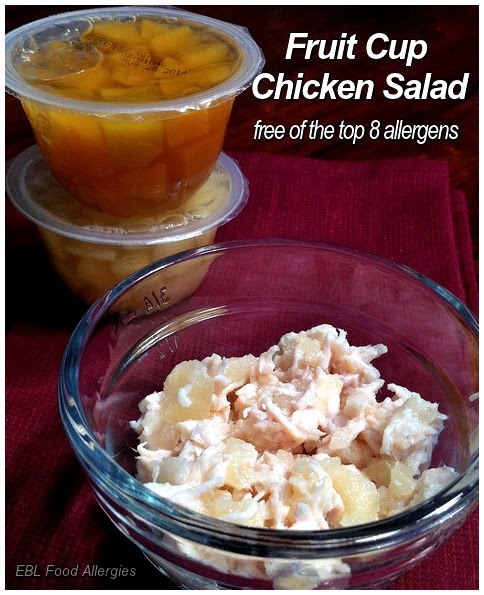 This allergy free chicken salad is perfect for school lunches! Today I made turkey and pear cup. It’s the same turkey tenderloin from dinner last night that he would only eat two bites of. For some reason when it’s blended up with a fruit cup, he eats it. What are some combinations that you have tried? Oh my gosh! You are genius!! I have high hope that our picky eating food allergy kiddo will eat this! Thank you thank you thank you! !